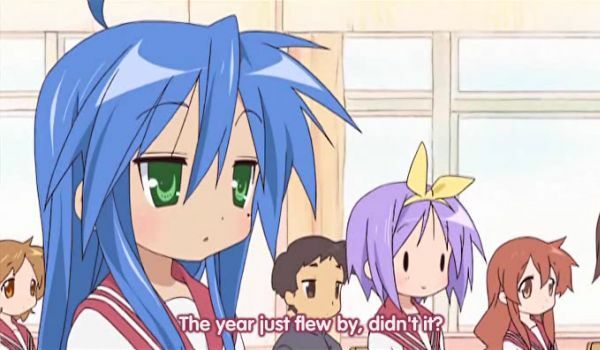 Actually, for me the year did not just fly by. Which makes it even more embarrassing that I did not achieve anything worth mentioning, and that I am still pretty much the same person I was a year ago. 2010 was a likable year for me personally. I was not sick much, I loved my job, and no close relatives died. Overall, the year deserves praise for doing a good job, don’t you think? On the other hand, I did not change much in 2010. That is my own fault, surely. It was not like I did not have opportunities. But compared to 2009, I pretty much stood still, or so it feels. 2009 was also when I started to build a library of timeless wisdom, or esoteric knowledge. Well, I guess I was moving in that direction already from a year or two before, but in 2009 I consciously started seeking out transformative literature. That is to say, the type of books that change you. Â I have continued down that part in 2010, but I have not changed as much as I hoped. Words of wisdom are hard, so I tend to evade them more than I expected. Looking back at 2010, I can’t say that much happened at all. I went to work, came home, played Sims 2 or 3 or City of Heroes, biked a little, ate noodles, watched anime, wrote some fact or fiction, and went to bed. It is a good life if you like work, Â games, anime and noodles, which I do. But I had thought I would work more on my soul and less on my hobbies, compared to what I actually did. It is not like I was completely absorbed in these things, but looking back, I believe my priorities were off. Don’t get me wrong, I had a great time. But that is when it is hard to change, is it not? If I don’t take the opportunity to change voluntarily, I may have to be exposed to some kind of crushing defeat in order to realize that I need to change. Some great loss or something. Â It would be better to not have to undergo that, but realize when all goes well that this is my time of opportunity. I have an extremely pious friend who visits me a few times a year. Last time, in late fall, he commented on how much happier or brighter I seemed lately. And that is probably true. I really feel like my life has gotten brighter. But now I need to sow the seeds for a much brighter future, and more importantly, eternity. I am very happy that you seem happier to those around you. We worry about you being all alone on another continent! Well, physically I am alone, but that I would have been even if I lived in Texas. In the other sense, I hope and pray that I will not be alone. I think there are many – perhaps most – married men who feel more lonely than I. That is comforting . . . sort of!